Lyme disease has now spread to all 50 states and the District of Columbia following a significant uptick in cases between 2016 and 2017, according to a new study by clinical laboratory Quest Diagnostics. The study found that California and Florida had the largest spikes in positive test results for Lyme disease. In 2017, California had 483 infected individuals -- a 194 percent increase compared to 2015. Florida saw 501 infected individuals in 2017, a 77 percent increase. 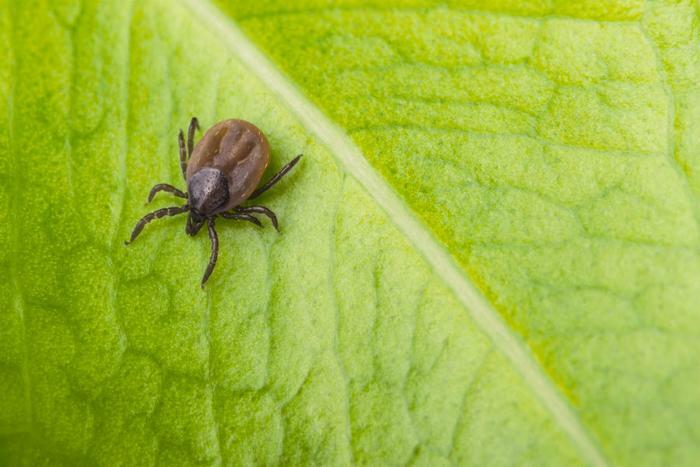 “Lyme disease is a bigger risk to more people in the United States than ever before,” said Harvey W. Kaufman, M.D., senior medical director for Quest Diagnostics and head of the company’s Health Trends research program, said in a press release. For the new study, Quest Diagnostics analyzed the results of 6 million blood tests that doctors had ordered to diagnose Lyme disease in their patients. Lyme disease remains most prevalent in the Northeastern United States. Pennsylvania and the six New England states (Connecticut, Maine, Massachusetts, New Hampshire, Rhode Island, and Vermont) accounted for 60.6 percent of the total number of positive Lyme disease test results found in the United States in 2017. Pennsylvania has had the most Lyme disease cases in the country. Pennsylvania had 10,001 cases of Lyme disease in 2017, more than any other state in the nation. Notable increases were also observed in other states between 2015 and 2017. States with other notable increases included Georgia, Arizona, Ohio, Texas, Tennessee, and Virginia. “We hypothesize that these significant rates of increase may reinforce other research suggesting changing climate conditions that allow ticks to live longer and in more regions may factor into disease risk,” Kaufman said. The new study comes just a few months after the Centers for Disease Control and Prevention (CDC) reported that cases of tick-borne diseases had more than doubled over the past 13 years. The CDC said the bacteria that causes most tick-borne diseases in the U.S. is Borrelia burgdorferi, which accounts for 82 percent of reported Lyme disease cases. Lyme disease is spread by bites from infected blacklegged ticks and deer ticks. It causes more than 300,000 illnesses each year in the United States, according to the CDC. Common symptoms of the bacterial infection include joint aches, fatigue, facial palsy, and neck stiffness, as well as the tell-tale “bullseye” shaped rash where the person was bitten.